July is National Blueberry Month and I’m celebrating the smurfish fruit with cool, summer time treats featuring Bai’s Brasilia Blueberry antioxidant drink! If you haven’t heard of, or tried Bai’s drinks, you’re missing out! I became a huge fan of these drinks last year due to their low sugar/calorie content, yummy taste and healthy ingredients with mild caffeine for energy from coffeefruit and white tea extract. Bai drinks (which also has carbonated drinks) are a great alternative to bad for you sodas and fruit juices with excess sugar, and can now be found in almost any grocery store. 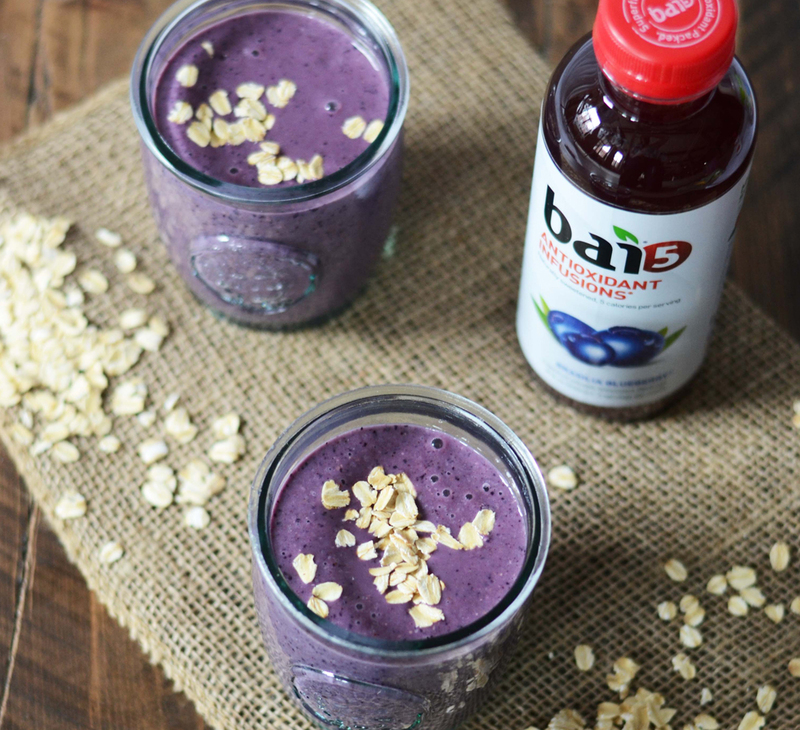 With only 1 gram of sugar and 5 calories a bottle and truly packed with delicious flavor, Bai makes a great treat on its own or in smoothies, sangrias, punches or popsicle recipes! Check out some awesome recipes below to try out for National Blueberry Month, or any time you want! Blend all ingredients in a high powered blender and blend until ingredients are smooth, adjusting amount of Bai to control thickness. Pour into a glass or bowl and enjoy with either a straw or spoon depending on how thick you like your smoothies. Blend all ingredients in a high powered blender and blend until ingredients are smooth, adjusting amount of Bai to control thickness. For added nutrients: add a scoop of açaí powder. Pour into a glass or bowl and enjoy with either a straw or spoon depending on how thick you like your smoothies. Mix all ingredients together in a pitcher. Pour in popsicle molds. Let freeze for 3-4 hours. In a large pitcher, combine tea, wine, and Bai. Chill for at least 4 hours to blend flavors. To serve, add fruit to pitcher or divide among glasses. 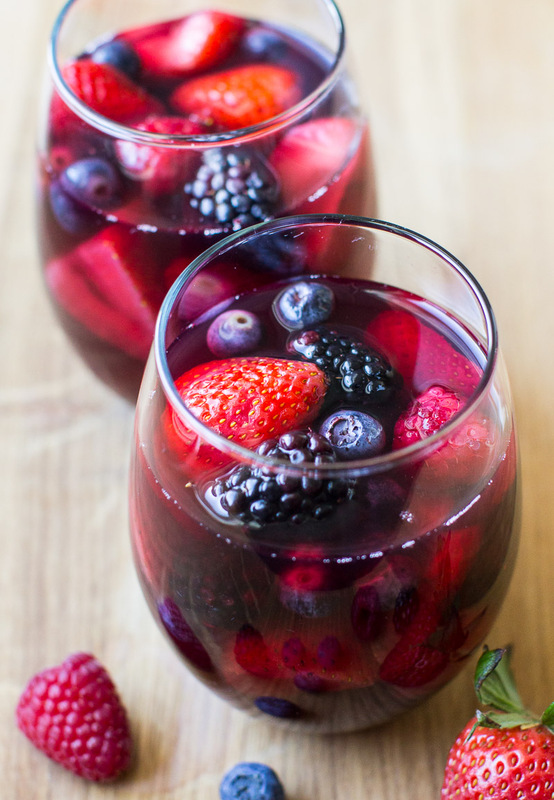 Pour sangria over the fruit. *I have NOT received compensation of any kind to write this post. I am truly a fan of all brands mentioned, and especially of Bai. They supplied the first 3 recipes and I have tweaked them to meet my recipe requirements (vegan). The Sangria recipe is one I have adapted from culinaryhill.com and I had prepared it for a party with Bai Brasilia Blueberry a few months ago – so delicious and there wasn’t any left within a couple of hours! ← Video: '80s Rap from "Teen Witch" – Top That!